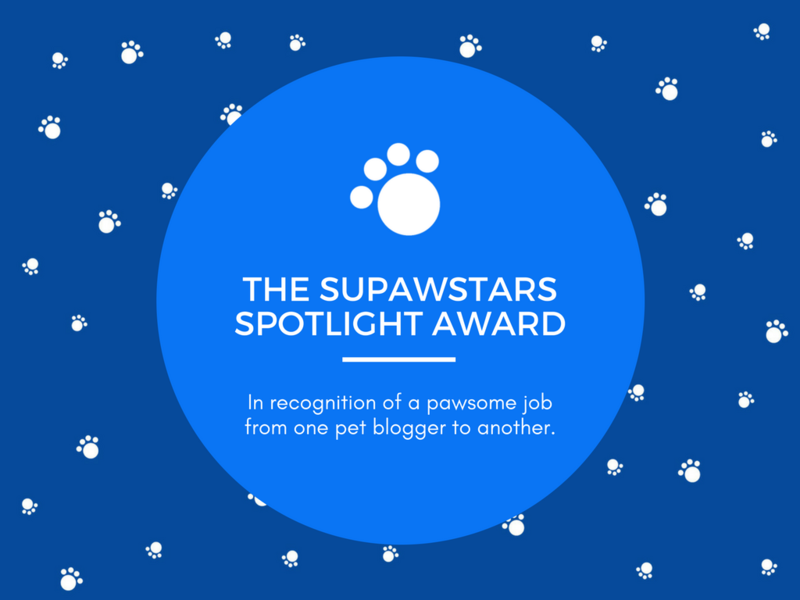 You may be familiar with Pets Overload blog, but did you know about Supawcute? 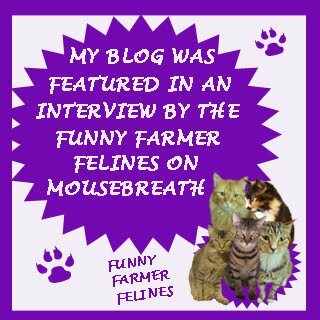 We are proud to be interviewed for Supawcute; "A world for all Pet Lovers to share"! 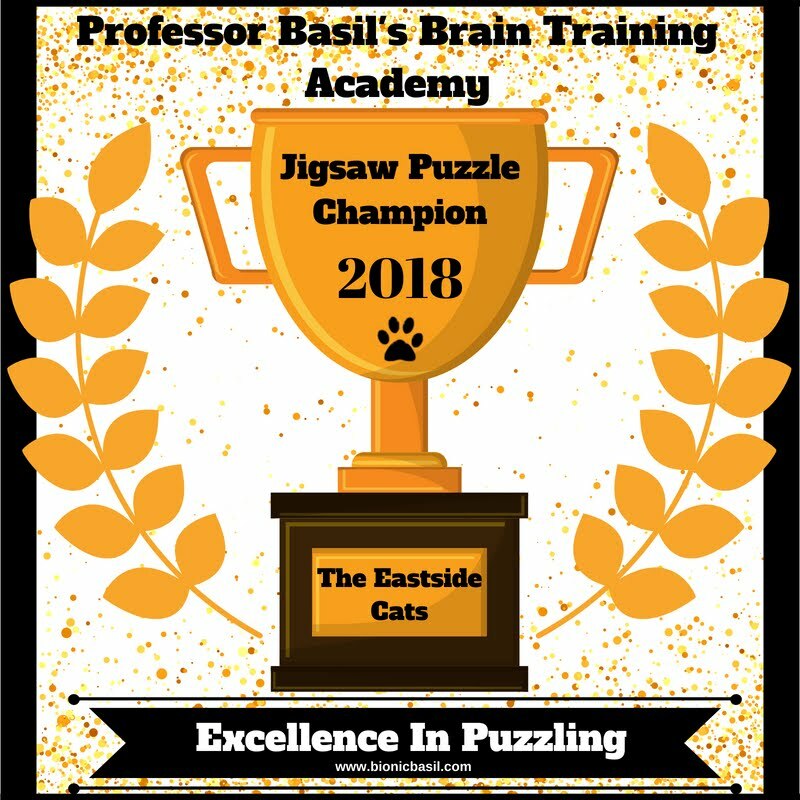 Here is the link: "Meet Eastside Cats"
Especially with the recent addition of Manny and Chili Bruce Lee to our cat family, I look for ideas and information from folks who've done it before...such as how to get cats to stop playing with the toilet paper roll! 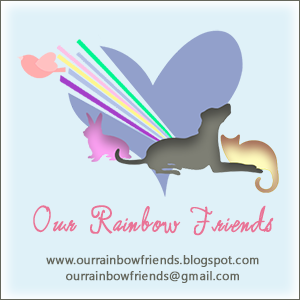 Supawcute wants to be a resource for all of us; a place to share and care for our house animal friends. 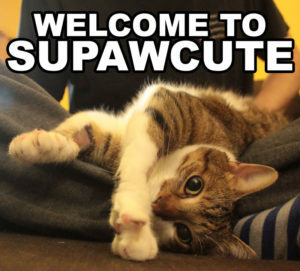 Please check out Supawcute! Some folks have already celebrated holidays, and some have their yet to come. Wishing love, hope and happiness to you all, for then, for now, and for the future! Manny ain't having any of it! Was This Too Much For The Office? Our corporate year is winding down, and every day there are fewer and fewer employees. To me, that means...let's get casual! So, I wore this, and received a number of 'oh, that's so CUTE!' comments! My scarf is black background with white cats too. Labels: end of the year, Hello Kitty!, let's get casual! Da Boyz have discovered the big window! The veterinarian called yesterday, advising me that both Manny and Chili Bruce tested negative for bartonella. He said that in the past, no one much tested for this infection, but they should because it can create a whole host of problems. Bartonella is "The Cat Scratch Disease Bacteria" for humans, per the pamphlet that I received. 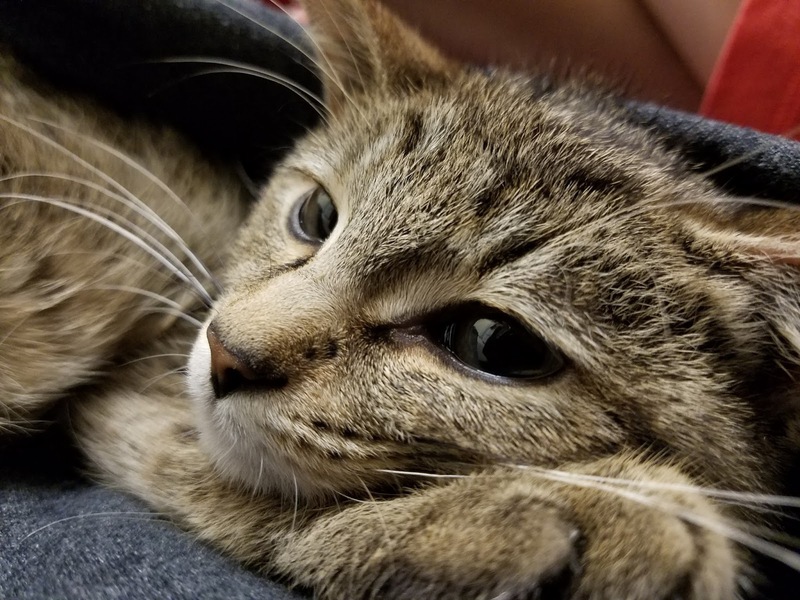 originating as a stray, coming from a shelter or humane group, living in a multi-cat household, going outdoors often, and living in a hot, humid area. You DO NOT want to read the whole list of problems that humans can have from bartonella; it freaked ME-OWT! Heart, eye, and skin diseases, inflamatory bowel disease, and something called "mononucleosis-like syndrome." However, the veterinarian said that a normal, healthy human will fight off any of this, but children, the elderly (watch it...), and immuno-compromised folks should take care. He's a vet, though, so this may be something folks need to have their family physician check for. Fleas and ticks harbor the stuff, and humans and cats can get it through scratches, and bites from an infected cat. Next time Sweetie and The PO'M go to the vet, I'm going to have them tested as well. It's not inexpensive, but the pamphlet says "about 30% of cats healthy cats in the U.S. are infected carriers." Apparently, antibiotic therapy makes it go away! For more information, please consider visiting http://www.natvetlab.com/, which was listed on the pamphlet that I received. Disclaimer: I am not a veterinarian, nor to I pretend to be one. Please consult your own veterinarian or doctor for further information. Labels: Bartonella disease, Da Boyz, remember to mouse over the photos! Yesterday, The Hubby was giving The PO'M some lovin', and when inside again, he wondered when I was going to hang 'the sign' on The PO'M. "You know, one of those 'oversize load' signs!" he said. Ohh, my poor baby! Well, some of it IS winter fur, but he's a round mound of cat these days. Eeeks! Thus ends that portion of kibble that I put out for both Sweetie and The PO'M at night. Obviously, only one cat is eating it all! has clutched to his chest, guarding it from Da Boyz! Chili, the picture of innocence...HA! waiting for those magic doors to open! 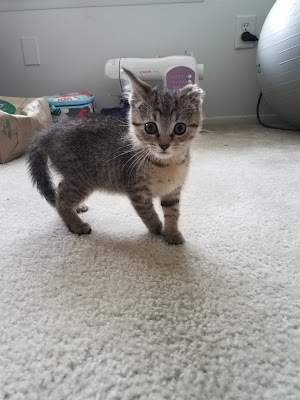 Named Bruce Wayne by the animal rescue, we've played around with our boy's moniker until it's evolved into Chili Bruce Lee. 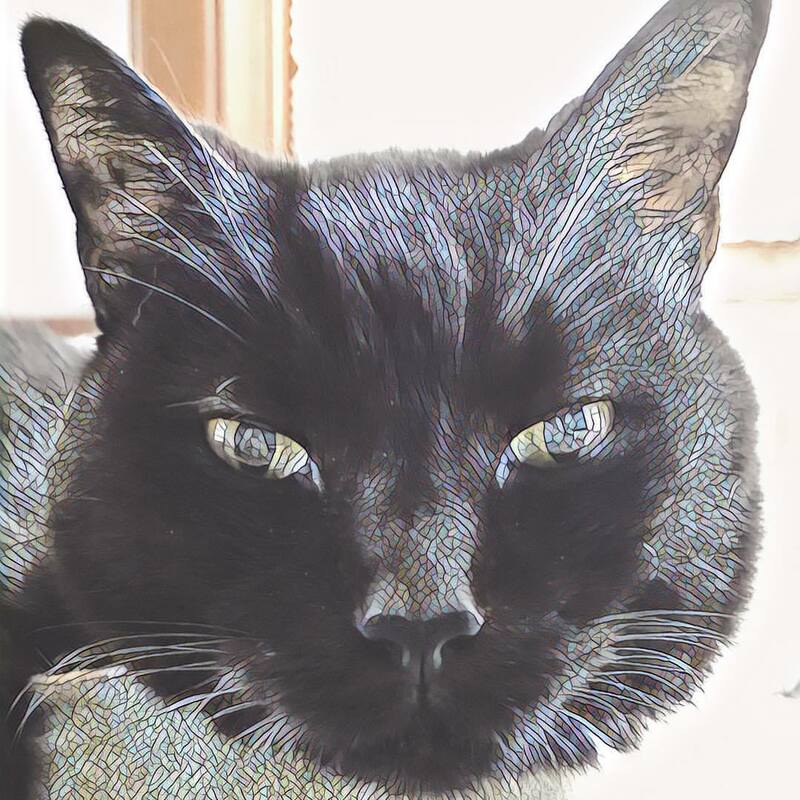 The veterinarian declared that Chili has some Oriental cat breed in him, as indicated by his body shape, glossy fur, and head shape...hence the 'Bruce Lee' extension to his name. Chili has one white whisker, and is only a few ounces lighter than brother Manny. If Manny's Alpha-cat personality ranks an 11 on the 1 to 10 scale, then Chili is about 8-1/2; still plenty full of energy, but he can quietly sit in a box too. When the two of them hit the open door, all humans and cats WATCH OUT...the beasts are unleashed and you'd better stay out of their way! Chili also licks my fleecy tops, and likes to lay on my legs, and then wriggle up to my chest for a nap. Angel hisses at both of Da Boyz, however she's allowed Chili to sit near her for a couple of minutes in silence. Chili will not let a morsel of food escape his notice! 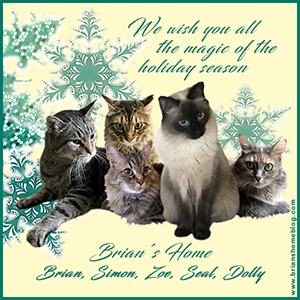 I look forward to spending the upcoming work break with all of our cats, as the office is closed from 12/25/17 to 1/2/18. Being in charge of several off-site and all-day work meetings this week, I've barely caught my breath. And the substantial snowfall that occurred on Wednesday, ate up a lot of my free time due to driving VERY SLOWLY on the snow-choked roads. 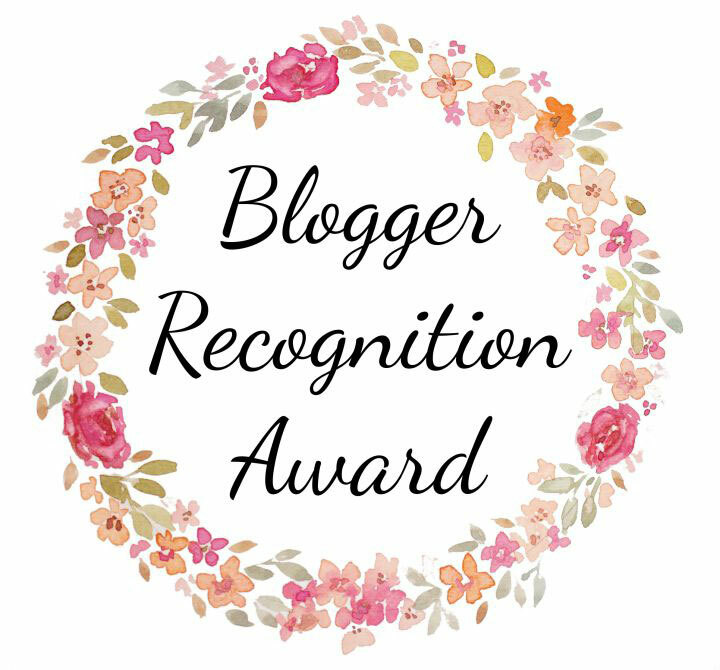 I promise to visit all of my blogging friends soon! Manny, a riff on 'Batman', which is what the rescue named him, is rambunctious, carefree, and loving. He's the larger of Da Boyz, but only heavier by a few ounces. Yesterday, at the veterinarian's office, Manny climbed all over the counters, and tried to push the dog biscuit jar off the table a couple of times. The vet says both cats are about 1-1/2 years old. Manny likes the Cat Dancer toy, and if he's not playing with it or eating food, he gets into mischief, such as jumping on the kitchen counters or getting as close to Angel as he can to make her hiss! Manny, trying to get at my food! Manny has tried to eat my sandwich, and wants to see everything on our plates. He also licks my (or The Hubby's) shirt or sweater, and purrs and makes biscuits. When I lay down on the futon in Da Boyz's room, Manny is always at my head or across my throat. Manny is a delight! He is also a rascal. I haven't heard The Hubby laugh like this in a long time. Just hung up the phone from Chuck's veterinarian's office: his cremains have not been returned, and there is no real ETA. 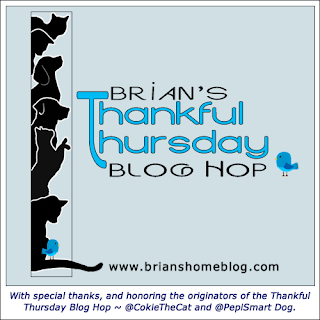 Yesterday, The Hubby mentioned that our house looks a bit shabby, should we have any guests over, due to the puppy pee pads pinned up around litter boxes. I did that when Chuck was standing up while urinating, due to his bowel issues. So, I cry. We have only the detritus of his existence, but no Chuck. Yes, Da Boyz are a handful, and Angel is beginning to find her place as big sister in the new Eastside Cats order. But the pain underlies the joy, the busy-ness, the play, the feeding, cleaning, loving, and purring...plus keeping my eye on The 'O' Cats, now that it's gotten cold. We continue to observe bardo for Chuck's death, honoring his memory and his life. Having two Chuck look-alikes is interesting, yet neither mimic his personality in the slightest. The puppy pee pads remain. And so, I wait, with love. 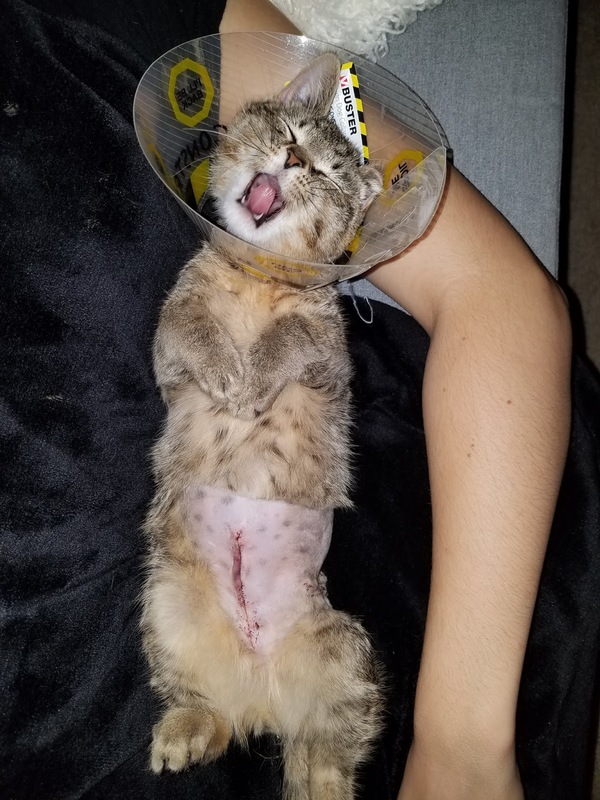 BK is being fostered by a co-worker, after having surgery to try to repair his bones and internal organs after some trauma. BK has use of all of his limbs, except he is incontinent. Hopefully, with regular therapy and acupuncture treatments, he won't have to wear diapers for the rest of his life. BK is a regular kitten though; running, jumping, crazy at play, and as you can tell, as cute as the dickens! I am thankful for people like my co-worker and his wife, who are willing to do what it takes to keep this little fella healthy and warm. 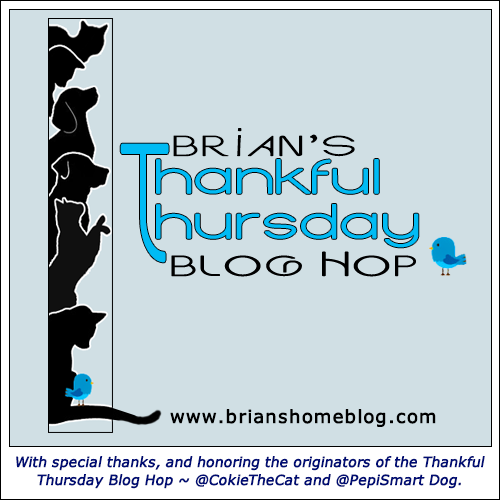 This is Thankful Thursday's Blog Hop from Brian's Home! So, Do You Want Some Photos Of Da Boyz? This is the best I have done so far! As I arrive home after the sun has set, and I leave again when it's just gotten up, the lighting STINKS for photographing black furrs. And they are on the MOVE constantly, plus when I get near with my phone, they headbunt me and lick my fingers. Or, they lay all over me and purr, and how can I make a good image of that? Labels: Angel, Bruce/Chili, Da Boyz, Manny, what's in a name? 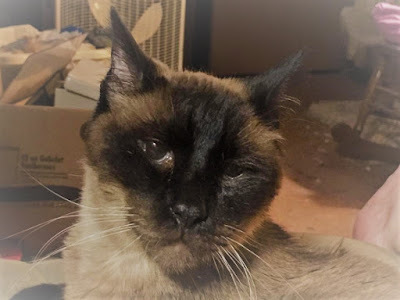 Please visit Clarissa's House Of Cats to offer condolences for the passing of Memphis. Memphis is the fourth cat of Clarissa's to leave for The Rainbow Bridge since September, so they are all heart-sick beyond heart-sick. Farewell, Angel Memphis...no more pain, and you left this mortal coil while wrapped in love. 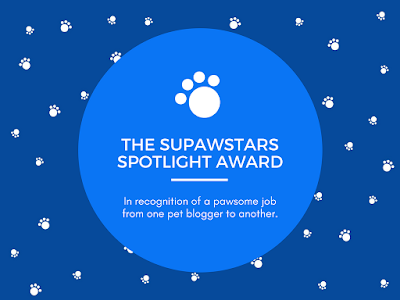 Eastside Cats is honored to receive a Supawstars Spotlight Award for November, 2017 from Kittyclysm! There is a bittersweet feeling to this, as we've been posting about the loss of our sweet Chuck, and then just as suddenly about adding two teenaged housepanthers. I post from my heart, folks...it's that simple, and it gives me warm fuzzies to know that folks like my unique slant on life. Check out Kittyclysm; a unique and entertaining cat information blog. ...and enjoying their first meal at Eastside Cats! Um...I went out on my lunch break to the pet store, on Friday, December 1, to score another sample of 'Ultra Oil' for pet health. Used to try to tempt Chuck to eat, I then discovered how much it helps The PO'M's scratchies, and I needed more. 'Batman' and 'Bruce Wayne', brother housepanthers, were playing with the store employee, who invited me into the adoption enclosure to get closer. Within an hour, I'd called The Hubby, completed the application, and paid the fee. A case of their food, two boxes full of boy cats, and home I drove! SURPRISE!!! Now, for awhile, I actually have *THREE* cat families: The 'O' Cats, Angel, and The Boys in the parlor. They've explored the rest of the house a little bit; Angel is less than thrilled with this turn of events. However, The Hubby and I are over the moon in love with the brothers, who apparently were left behind when renters vacated. They'd been at the pet store for three weeks; the store employees LURV'd them, but no takers until moi. Needless to say, posting is going to be a bit erratic while we settle into a new routine. And so far we've been calling them Manny and Bruce. And I didn't get my free Ultra Oil sample in all the excitement! Labels: Angel is a tough cookie, December 1 2017 Gotcha Day, Welcome to Bruce and Manny! Patty O'Malley (The PO'M) is beyond adorable! These photos were snapped this morning, as I was supposed to be entering The Cat Car for my commute to the office. But how could I, with such rampant silliness and adorableness at my feet? One cannot hold onto sadness for long, when The PO'M turns his goofy dial up to 11! Can Chucky really be gone a week already? It just doesn't seem possible. The Hubby and I have chosen to observe the Tibetan or Buddhist tradition of bardo, for Chuck. In a nutshell, while a soul is in transition between the physical and spirit worlds after death, the family shows great love by leaving everything as that soul knew it in life. Beds, bowls, favorite toys, pile of woolie socks...all remain and are not put away. We created a Chuck shrine, which consists of a framed photo, and we talk out loud to Chuck. The presumption is that he will visit 'home' during the 49 days after his passing, to observe us and recall his life. We honor him with our loving words and this allows him to remember everything, and will help him move on to his next life. After the bardo period, we will rearrange things to suit living with Angel alone, such as removing a couple of litter pans, uncovering the chairs that are draped with blankets under which he loved to sleep, and dispose of his medicines. I suggest that you search the interwebs under author David Michie, where you can read about bardo in his blog dated August 5, 2017. Mr. Michie has written many books, but we cat people may know his "The Dalai Lama's Cat" series most of all. Again, thank you for the kind thoughts and prayers. Sweetie and The PO'M have enjoyed using the awning wood support as a scratching post, and I finally caught some live action! The front edge is almost whittled away! The PO'M likes to scratch horizontally too, thus he expresses his creativity on the feed station edge. My nephew treated the family for Thanksgiving this Thursday: Matcha Green Tea flavored chocolate Kit Kat bars, from Japan! They taste like white chocolate to me; sweet, but really no discernable green tea taste. But how fun! Kit Kats are popular in Japan, due to their name being close to "Kitto Katsu' in Japanese. So, Kit Kat bars are considered a kind of lucky charm, supposedly. Um...who wouldn't want to munch a yummy chocolate candy bar, and wouldn't you feel lucky to be eating one? And I feel VERY lucky to have my family and friends, both in person and online. You all are the best! His tail fur never grew in again. The Hubby and I cannot tell you how much your kind and thoughtful words mean to us. We miss Chuck with all of our hearts, and are lavishing Angel with everything we can. She and Chuck were together for their entire lives...even in utero! We are grateful for the wonderful years we had with Chuck. How strange it is now to only dish out one plate of food, and to not look for him in his favorite napping hidey-holes. This is my first Friendly Fill-ins! 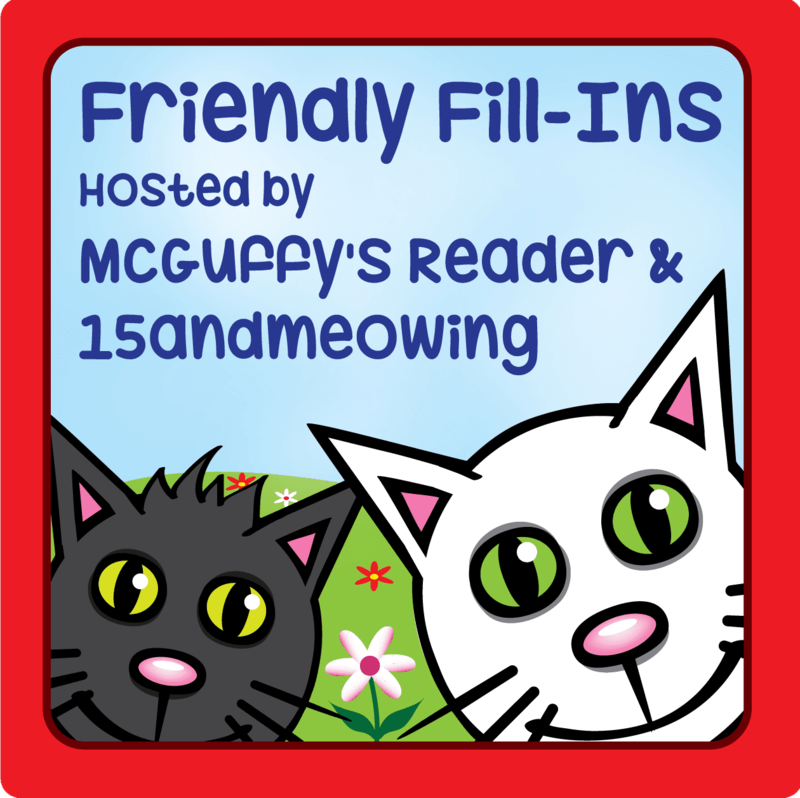 Visit 15 And Meowing and McGuffy's Reader! 1. I can’t wait to eat Tofurkey on Thanksgiving. It's the only time I get some. 2. My favorite kind of pie is none. Never liked pie, but once I had a pear pie with glorious vanilla ice cream, and it was wonderful. 3. This year, I am particularly thankful for being gainfully employed. 'Nuff said. 4. A funny holiday tradition in my/our house is "Bring Out The Joint!". Okay, okay...here's the story. Back in the day, when hippies and psychedelic stuff were the norm, at one family gathering my father clapped his hands and said, "Bring Out The Joint!" He meant the words as some old-timey Elizabethan-like usage of 'joint' as a big chunk of meat, but many of us young-uns thought about roach clips, bongs, and eating Fritos...if you know what I mean. We kidded him about that for years, until his death in 2004, and we still giggle about it now. Love ya, Puba...we miss you terribly. Wanted to share a photo of sweet Bobo, who graces the abode of The B Family. She is lusciously black, except for white toes on her back feet. She is quite the cutie, with tons of purrsonality, and doesn't mind when the grandbaby is around. It was very difficult to leave, without stuffing Bobo in my tote bag to carry away! I saw this weird-looking cat in the feline section at Premier Pet Supply in Beverly Hills, Michigan! I was able to pet his head, and stroke his back, but there wasn't a kitty tail as I am used to! Disclaimer: I like Premier Pet Supply, so this post is purely for my own entertainment. I was NOT compensated in any way by PPS for this goofy post! I posted about that weird cat here too! "There's a hole in the..."
No longer good for using to scoop the litterpans! There's a hole in the bucket, dear Liza, a hole. Well, fix it, dear Henry, dear Henry, fix it. With what shall I fix it, dear Liza, dear Liza? With what shall I fix it, dear Liza, with what? With a straw, dear Henry, dear Henry, with a straw. The straw is too long, dear Liza, too long. Well, cut it, dear Henry, dear Henry, cut it. With what shall I cut it, dear Liza, dear Liza? With what shall I cut it, dear Liza, with what? With an axe, dear Henry, dear Henry, an axe. The axe is too dull, dear Liza, too dull. Well, sharpen it, dear Henry, dear Henry, hone it. On what shall I sharpen it, dear Liza, dear Liza? On what shall I hone it, dear Liza, with what? On a stone, dear Henry, dear Henry, on a stone. The stone is too dry, dear Liza, too dry. Well, wet it, dear Henry, dear Henry, wet it. With what shall I wet it, dear Liza, dear Liza? With what shall I wet it, dear Liza, with what? Try water, dear Henry, dear Henry, use water. In what shall I fetch it, dear Liza, dear Liza? In what shall I fetch it, dear Liza, in what? In a bucket, dear Henry, dear Henry, in a bucket. Sweet Sweetie Makes Biscuits Then Gets Photobombed! I love the way Sweetie makes biscuits while standing up! Then The POM *MUST* get between her and me. And yes, the backyard is covered ankle-deep in fallen leaves. Sure, it's pretty, but it will take 50 to 60 yard refuse paper bags to remove it all! Looky, looky! I found an adorable Hello Kitty! sweater for myself this weekend. It's even cute enough to wear to the office, on one of our casual dress days. SCORE! And here is Chucky, getting some 'laps' in! https://youtu.be/KC30UydhC14 if you cannot click the video open below. Labels: Chuck laps at the faucet, Hello Kitty! Enjoy the stories our three cat families: upstairs, downstairs, and outside, plus other interesting feline stuff! Once ours, now living as an only cat in another loving home. 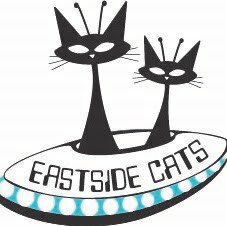 All contents and photographs are the sole property of Eastside Cats. Please do not use any content without prior written permission. Cat Stuck in a Tree? It's all about the cats! 2017 Eastside Cats. Picture Window theme. Powered by Blogger.